MCN have learnt of the theft of a London motorcycle paramedic’s helmet while they treated a patient at the scene of an emergency call. This is the second instance of this kind reported to police by the London Ambulance Service NHS Trust within a month. 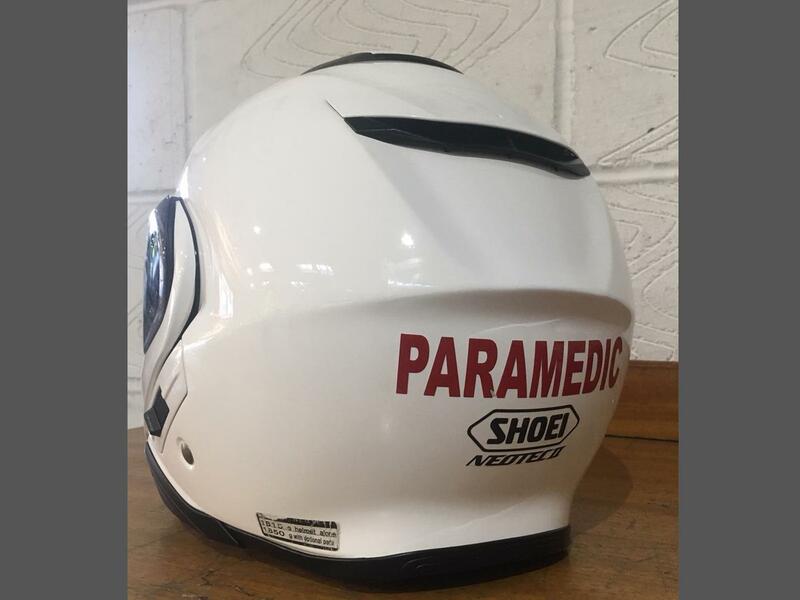 The white Shoei Neotec II flip-front helmet with 'paramedic' written in red across the back and an earpiece fitted is vital equipment to the Ambulance service and its theft prevents the rider from attending further calls, potentially putting lives at risk. MCN will bring you more as we get it.